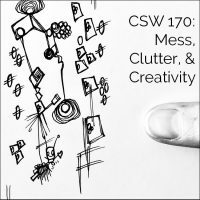 Back in 2015 I wrote some posts about clutterbusting, and recorded episode 20 about clutter vs. mess, and the difference between the two. 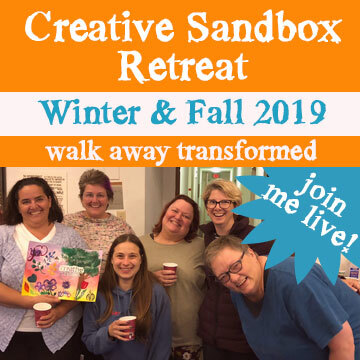 Since I’m about to run a 3-week Great ClutterBust to kick off the “grand re-opening” of my Creative Sandbox Community (and on Tuesday, July 24th, you can join me for a FREE clutterbusting session to experience the power of clutterbusting for yourself! ), I thought I’d pull that old episode out of the archives, dust it off, and give it a refresh. Suggestions for what to do, once you understand the difference! If you’re a reader, the full transcript of the meat of the episode is below. And be sure to join me on Tuesday to kickstart your personal clutterbusting efforts and make space for creative messes (not to mention thinking and breathing)! So you’ve probably seen pictures of that archetypal chaotic artist’s studio, right? A terrible jumble of things, like a tornado went through it — it’s kind of an iconic image. Here’s a snapshot of the view over my shoulder while working at my computer, BEFORE the first Great ClutterBust, back in 2014. TOO! MUCH! STUFF! Or the picture of the writer’s desk just piled to the rafters with papers, like jumbles of papers. These are so iconic. There’s a really famous picture of Einstein’s desk on the day that he died, and it’s often pointed to as evidence that clutter and mess is required for creative genius, that it’s part of creative genius. That probably is a misattribution. There is actually no evidence that I can find anywhere, and I checked on Wikiquote and Wikipedia. There is no evidence that Einstein actually ever said this quote, but it’s often attributed to him. The upshot is that we have this idea that creative genius is facilitated by clutter. 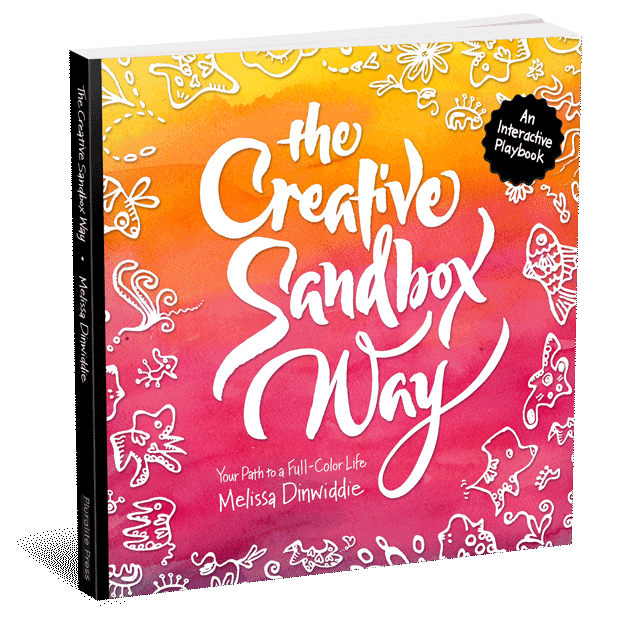 And in fact, there are some studies that even suggest that messy environments encourage originality and a search for novelty — so in other words, creativity. I will include a link in the show notes to a particular study that was written about in an article in The New York Times in which Kathleen Vohs and two of her colleagues speculated that messiness might actually serve a purpose. Just as tidiness serves a purpose and that tidiness has been associated with upholding societal standards, and so they predicted that just being around tidiness might possibly elicit a desire for convention. And they predicted also the opposite: that being around messiness would lead people away from convention in favor of new directions. And so they conducted some experiments to test out their hypotheses which they reported on in the Journal of Psychological Science, and their hunches were borne out. So for the first study, what they did is they arranged rooms in their laboratory to either look tidy, with books and papers very stacked and orderly, or to look messy, with papers and books strewn around haphazardly. And then they invited 188 adults to visit the lab one at a time, ostensibly for a consumer choice study, and each subject was assigned either to a messy room or to a tidy room. And when they were in the room they were shown a menu from a deli that made fruit smoothies, that were said to come with a “boost” — some kind of added ingredient. And there were three options to choose from: a health boost, a wellness boost, or vitamin boost. And they created two different versions of the menu. Half of the subjects saw a menu that had the word “classic,” highlighting the health boost option, whereas the other half saw the health boost option highlighted by the word “new.” And so the subjects made their choices from the menu. And as predicted, when the subjects were in the tidy room they chose the health boost more often. Almost twice as often when it had the classic label. In other words, when it was associated with convention. Also as they predicted, when the subjects were in the messy room they chose the health boost more often — more than twice as often when it was said to be new. That is when it was associated with novelty. So in other words this sort of indicates that people tended to prefer convention — greatly prefer convention — in the tidy room and greatly prefer novelty in the messy room. So for this particular part of the study they brought in 48 research subjects individually to the lab and again they were assigned either to a messy room or to a tidy room. And this time the subjects were told to imagine that a ping pong ball factory needed to think of new uses for ping pong balls and they were asked to write down as many ideas as they could and then they had independent judges rate the subjects’ answers for how creative they were done. (And apparently that can be done reliably, although she doesn’t explain how that’s done.). To give you an example, the answers that rated low on creativity included using ping pong balls for beer pong, which is a party game that uses ping pong balls, so it’s not really an innovative idea, and answers rated high in creativity included things like using ping pong balls as ice cube trays and attaching them to chair legs to protect floors. When they analyzed the responses, they found that the subjects in both types of rooms came up with about the same number of ideas, which meant they put about the same effort into the task. But the messy room subjects were more creative, which was what they expected. 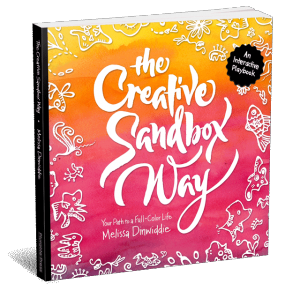 Not only were their ideas 28 percent more creative on average, according to these independent judges, but when they analyzed the ideas that the judges scored as “highly creative,” they found a really remarkable boost from being in the messy room. Those subjects came up with almost five times the number of highly creative responses as their tidy room counterparts did. It’s worth noting that these results have also been confirmed by independent researchers at Northwestern University, who found that subjects in a messy room drew more creative pictures and were quicker to solve a challenging brainteaser puzzle than subjects in a tidy room. So the article in The New York Times goes on to say that the findings have practical implications. For example, there’s a really minimalist design trend taking hold in contemporary office spaces. Private, walled-in offices are very much out of favor. Even private cubicles are out of favor. Today’s office environments often involve desk sharing and they have very minimal footprints and a lot less office space per worker, which means less room to make a mess. At the same time, the working world is on fire about the idea of cultivating innovation and creativity, and these study’s findings suggest that this might be hampered by the minimalist movement. 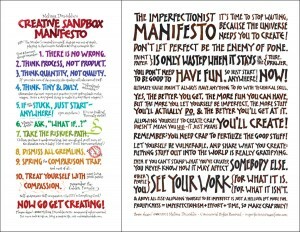 So all this is very interesting and it seems to indicate that creative genius again is facilitated by clutter. But here’s something that the study very very significantly did not touch on, and that is the difference between mess and clutter. 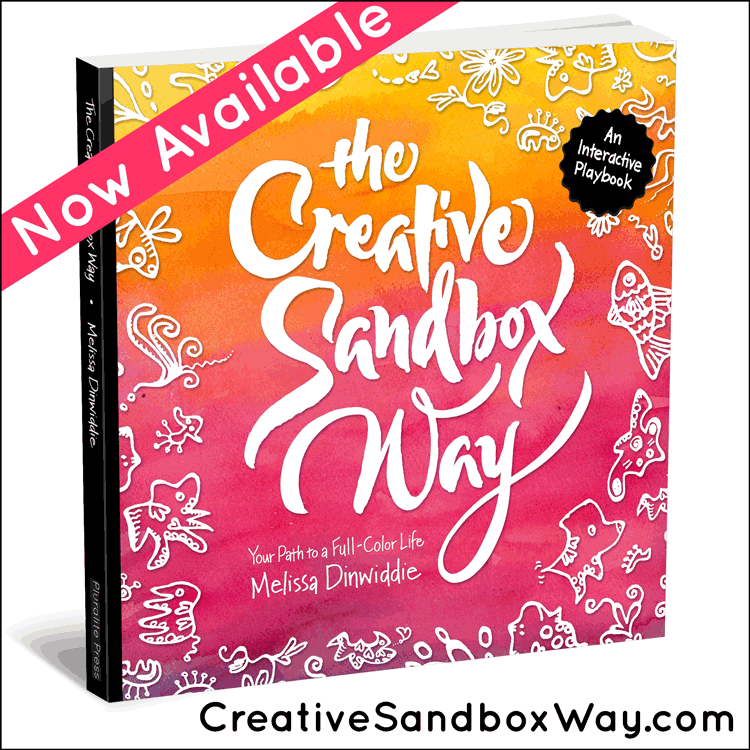 This is really a shame, because something very critical is left out when the difference between mess and clutter is not dealt with, and that something could really be hampering your own creative joy and freedom. So I want to take a moment to look at that difference right now. The words mess and clutter are often used interchangeably. But they are not the same. They are not at all the same. I will link in the show notes to a table that I created in a blog post that is a summary of what I’m sharing here. I’ve got a column for mess and a column for clutter and I’m going to go over those here. Mess is a healthy, natural part of life. It’s a sign that your space is lived in and enjoyed. Clutter is excess stuff that takes up space and saps energy. Mess is temporary, and relatively easy to deal with. 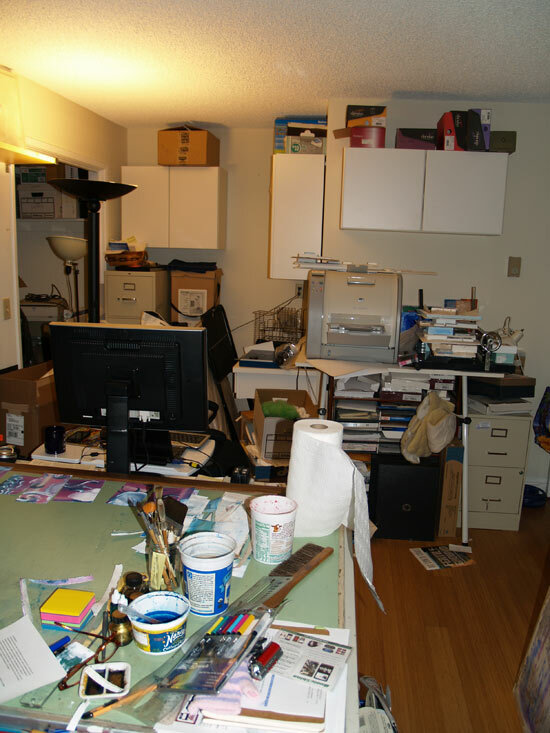 Clutter is long-term to permanent, and does not clean up quickly. Mess gets moved around and used often, allowing energy to flow. Clutter usually stays put, blocking energy in your space. 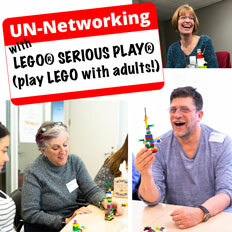 Creating a mess often energizes and brings joy. Clutter drains energy and has no redemptive qualities. Mess is an inherent part of the creative process. Clutter is a massive block to creativity. Mess is a healthy, natural part of life. Mess is a sign that your space is lived in, that your space is enjoyed. Clutter, on the other hand, is excess stuff that takes up space and saps energy. It’s stagnant. It is not a sign that your space is lived in and enjoyed the energy is dead. Mess is temporary. Mess is relatively easy to deal with, as well. It’s relatively easy to clean up. Clutter is long term. Clutter is permanent. Clutter does not clean up quickly. Mess is usually composed of items that get a lot of use, items that are loved because they’re used all the time and they can be tidied up and they can be put away because everything has a home to go to. Clutter is composed of items that are not used, not wanted, not loved. And though it takes up space in your home, it doesn’t have a real home. Mess does not get endlessly ignored. Clutter does. Clutter is like wallpaper. It’s very easy to ignore and it’s very important to note that mess can become clutter if it’s ignored for too long. That happens to be a lot. Mess gets moved around. Mess gets used often and it allows energy to flow. Clutter, on the other hand, usually stays put and it blocks energy and your space. It does not allow it to flow, it blocks it. 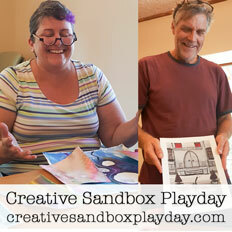 Creating a mess can often be very energizing and bring you joy. I mean, think about creating a mess when you’re making a really great meal or creating a mess when you’re painting or doing something creative; it’s energizing. It’s joy inspiring. Clutter, on the other hand, drains energy, and it has absolutely no redemptive qualities. Mess is an inherent part of the creative process. Whereas clutter is a massive block to creativity. So to basically encapsulate it in one little statement: If it’s energizing you, it’s mess. If it’s draining you, it’s clutter. These are such such important differences. And now that you know the difference — and again there’s a handy dandy little table that you can look at in the corresponding blog post — I think the important thing to do is to start to pay attention. Ask yourself when you look at your environment, which one are you dealing with? Is it mess or is it clutter? I would be really, really curious to see what would happen with that study if they put people in a room that was mess versus a room that was clutter. I know I can feel it energetically when I’m in my own cluttered space or when I’m in the house of a hoarder. I can feel the energy getting sucked right out of me. I don’t know about you but I can tell you about so I’d be really curious what happened in that experiment. Here’s where it’s a great place to use my Golden Formula: Self-awareness + self compassion = the key to everything good. The first part of that, self-awareness, is noticing. Notice how mess and clutter make you feel. And then respond with gentleness, regardless of how you’re feeling. Remind yourself that you’re human, that plenty of other people struggle with clutter, even struggle with cleaning their messes up, and that’s the self compassion piece: acknowledging that you’re human, and being kind and gentle with yourself. And the first step there is awareness. That’s always the first step. You do not have to go crazy. You don’t even have to do anything right now. Just start to pay attention. And think about how your space is right now, compared with how you wish your space were, in an ideal world. And remember, every accomplishment starts with a vision. So start picturing your dream space. Because if you can dream it you can do it. If you can dream the kind of space you want in your environment to be, you can create it. For right now. Just start dreaming it. Then come to my free clutterbusting session on Tuesday to take the first step toward creating it! TrueLovesBand.com My husband discovered this 8-piece instrumental Soul group out of Seattle, WA while browsing online. We think they are fantastic! Thank you, Melissa! This distinction between mess and clutter is awesome! So clarifying and so important! 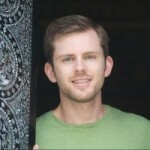 I’m launching my business as a feng shui consultant and I know that I will quote you often on this topic! Thanks! !